When she was 12, Betty Barr recalls wanting desperately to earn her Girl Guide camping badge, which required spending the night in a tent with her troop. There was only one complication: It was the height of World War II, and her family were among the 1,800 “enemy aliens” being held at Shanghai’s Lunghwa Civil Assembly Centre — also known as the Lunghua Civilian Assembly Center — by the Japanese. “When the Japanese marched into the International Settlement on Dec. 8, 1941, that changed everything for many foreigners,” says Barr, who turns 84 next month. Yet she remembers life in the internment camp between 1943 and 1945 as “rather different from what most people imagine.” Adults had jobs and a self-elected council, and the 300 children attended school within the camp. 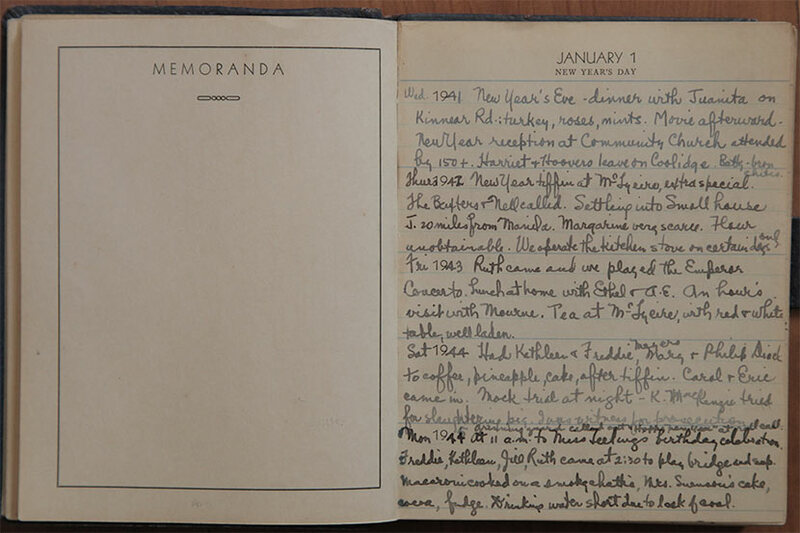 Internees enjoyed a robust social life, even throwing parties and organizing lectures. People know about Jewish concentration camps like Auschwitz and Dachau, but our experience was very different. Born in Shanghai in the 1930s to an American mother and a Scottish missionary father, Barr has lived in the city for more than 50 years in total. 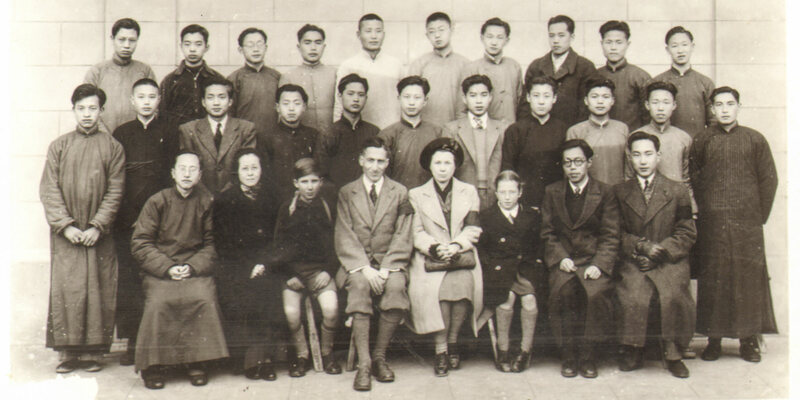 Though she and her mother went to the U.S. after the war ended, Barr returned to Shanghai during several formative periods of Chinese history: As a high school student in the late ’40s, she witnessed the Communist victory over the Nationalists; as an English teacher in the early ’70s, she experienced the end of the Cultural Revolution; and when she returned most recently to marry her Shanghainese husband in the ’80s, Barr lived through China’s opening up and Shanghai’s development into the modern city of today. 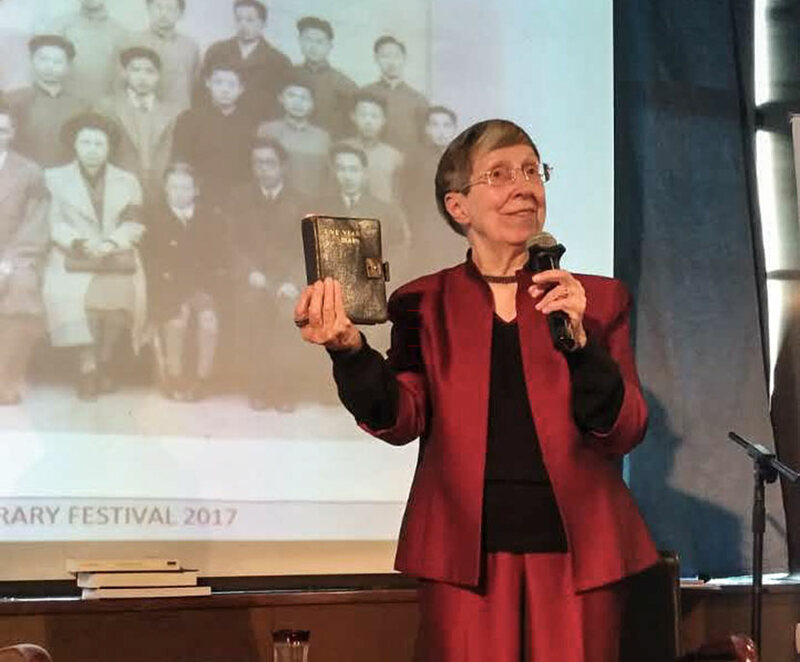 Barr spoke with Sixth Tone about the experiences recorded in her mother’s diary and her own recollections as a rare foreign firsthand witness of China’s complex past. The interview has been edited for brevity and clarity. Sixth Tone: How would you describe your experience in the internment camp? Betty Barr: I think many are surprised that life inside the camp was as normal as it was. People know about Jewish concentration camps like Auschwitz and Dachau, but our experience was very different. We had a very good school in the camp called Lunghwa Academy. So that’s what we children did: We went to school, and then in the summer, we had jobs. The internees had a governing body; my mother was elected into that council. My father rose to be the manager of the kitchen because he could be trusted not to steal food. My parents often played bridge. It was highly organized, just like a little town inside the barbed wire. Sixth Tone: What was one of your strongest memories of camp life? Betty Barr: Toward the end of the war, the amount of food became less and less. My brother suffered from malnutrition and was in the camp hospital for quite a long time. 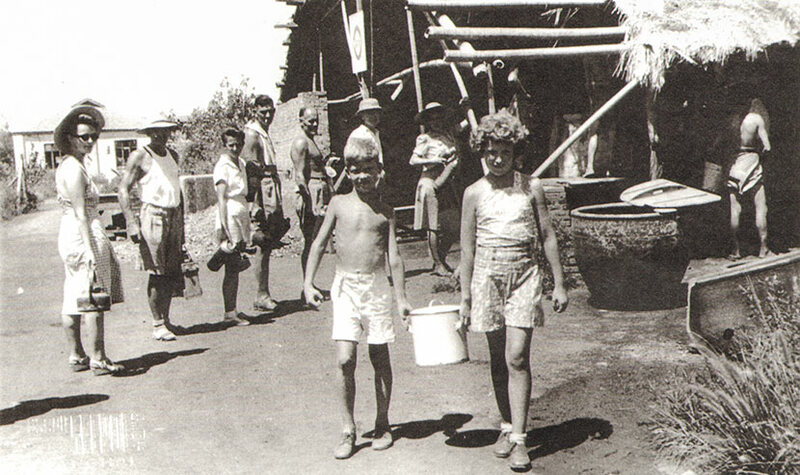 In the camp, we had a small farm with two cows, and the milk was reserved for patients in the hospital. I was asked by my parents to take a mug of milk to my brother. One day, I just couldn’t stand it anymore, and I took a sip. I’ve felt guilty ever since. I don’t have strong feelings against the Japanese. My feeling is that it was wartime, and we were all here, and we played our parts. 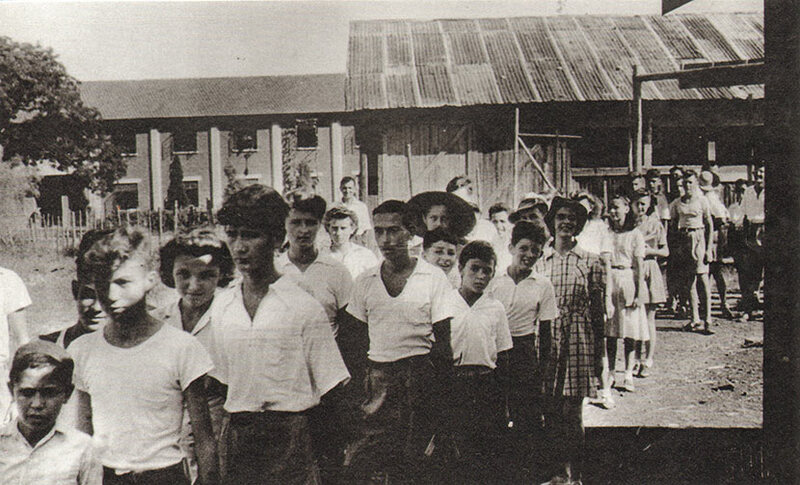 Sixth Tone: How were the internees treated by the Japanese who ran the camp? Betty Barr: It so happened that our commandant, Mr. Hayashi, was a very humane person. He had been a diplomat in London, and he himself had been interned in Britain at the beginning of the war, so he was very sympathetic. Our guards were actually Koreans. They were sometimes a bit fierce, but the only physical atrocity I saw as a child was one day [during] an extra roll call. Across the hall from us was a family, and the children didn’t get to the door on time, and the guard slapped the father in the face. But because my parents had Japanese friends — they’re mentioned in the diary — and because the commandant was very humane, I don’t have strong feelings against the Japanese. My feeling is that it was wartime, and we were all here, and we played our parts, you might say, in the drama of the war. Sixth Tone: To what extent were the foreigners in the camp aware of what was going on outside the gates? Betty Barr: My mother always said that the two worst things were the uncertainty — who knew how long we were going to be there, and what would happen toward the end of the war — and the lack of news from home, the feeling of being cut off. A newspaper continued to be published in Shanghai under the Japanese, and it was delivered to the camp; people could read between the lines about the war. We learned at the end of the war that there had been two secret radios in the camp, so somebody was listening and then would spread the news around. Sixth Tone: J.G. Ballard’s novel “Empire of the Sun” — later made into a movie — also tells of foreigners’ experiences in Shanghai during World War II. Ballard was interned at Lunghwa with your family. Did you know him, and how accurately does “Empire of the Sun” depict this period of history? Betty Barr: We lived in the same block. But to be very honest, I don’t think I remember him. He was two and a half years older than me; he was in my brother’s class at school. But in my mother’s diary, she says that Jamie Ballard, as he was then called, was invited to my brother’s 15th birthday party in our room. In the confines of the barbed wire, you can see the good and the bad in people’s personalities and relationships. I think many people have seen “Empire of the Sun” or read the book. 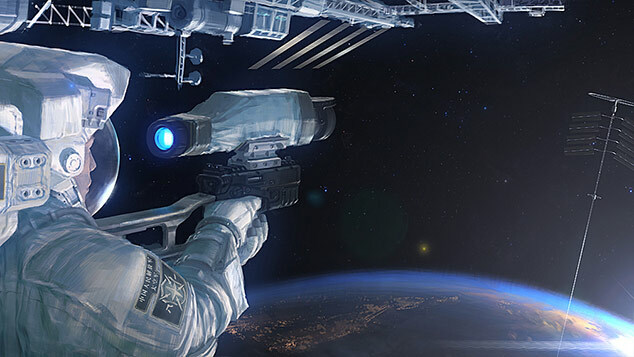 Ballard had his prerogative as a novelist, and Steven Spielberg as a filmmaker. Spielberg’s movie is a wonderful movie, but it’s a story. To give one small example, in the movie, the boy, Jamie, is thrust onto a truck at bayonet point to go to the camp. It wasn’t like that at all! It was highly organized between the Japanese officials and the British residents’ association or the American residents’ association. 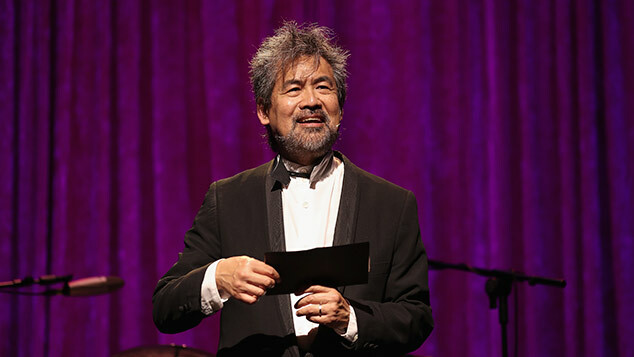 Sixth Tone: What lessons did you and your family take away from the years you spent in the internment camp? Betty Barr: The main lesson was that we must have peace in the world. Another thing was to be frugal, not to waste things. And the other was how to get along with people. In the confines of the barbed wire, you can see the good and the bad in people’s personalities and relationships. That experience taught us how to live in a community. Sixth Tone: You and your family returned to Shanghai in 1946, and you were in high school when the Communists claimed victory over the Nationalists. What do you remember from this period? Betty Barr: I graduated in May ’49, just as the People’s Liberation Army [PLA] marched into Shanghai. My classmates and I looked out the administration building window one morning and saw one PLA guard. But our teachers still insisted we take our final exams that same day. The PLA was very orderly, very polite and disciplined. They would sleep on the streets and ask for water if they needed it. Their behavior was very different from the KMT [Nationalist] troops. In the first year, actually not very much changed, except that things were calmer. The inflation was very bad, and one of the first things the Communists did was to crush that. 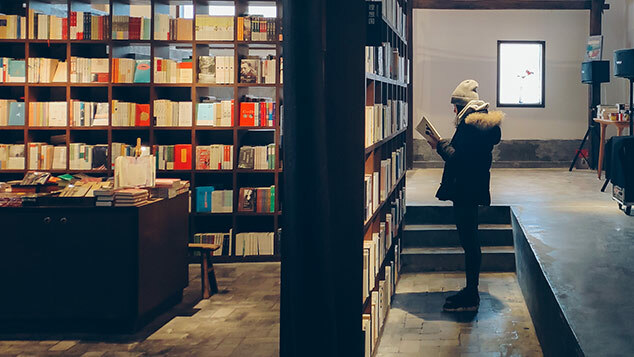 Sixth Tone: What was the atmosphere like when you went back to Shanghai as a foreign language institute teacher between 1973 and 1975, at the end of the Cultural Revolution? Betty Barr: At that time, politics was everything. If you were a teacher, you were supposed to be “red and expert.” You should have knowledge, but you must also be red — in other words, [follow] the political line. I was teaching 10 young teachers whose English was rusty because they hadn’t used it. With the teachers, each month in the autumn, I would go to work in a commune. And in the spring, I would go to a factory, because that’s what they had to do: work with the masses, learn from the masses. Sixth Tone: What has it been like to live in Shanghai for so many years as a foreigner, and how has that experience changed? Betty Barr: Shanghai is my home. Although I’m a foreigner, I don’t think that’s necessarily a contradiction. I have a Shanghainese husband, and the main bee in his bonnet is that foreigners on the whole still tend to think of only the [former] foreign concessions in Shanghai and don’t pay attention to the Chinese part. My husband came from a poor family; his father was a dock worker. They lived in the Chinese part of the city, and it was certainly not the “Paris of the Orient” to him. One change is that young [foreigners] can speak Mandarin. But it can be very difficult for Westerners to make sense of Chinese culture. I think it behooves us to make an effort, try to understand — because I think still in the world today, there is a superiority of Westerners toward Asians. That’s my impression, having lived in colonial Hong Kong and semi-colonial Shanghai: I can still find those attitudes today.